The world’s largest diamond exchange opens in Mumbai! This is one thing which surprised me at least when I read the headline of the news article. Surprised because till date I didn’t know that something called a diamond exchange existed. A diamond exchange and that too the world’s largest opened for trading in Mumbai on Sunday. So how does a diamond exchange work? 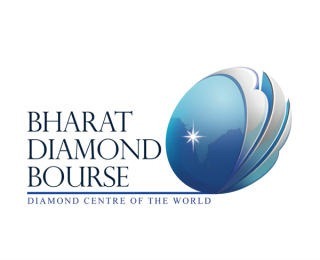 What is the objective of the Bharat Diamond Bourse (BDB) started at Mumbai? The BDB is located in the Bandra Kurla complex and spread over 20 acres through nine linked towers is a reflection of India’s movement from a manufacturing hub to a trading destination. What is the potential for growth? More than 75% of the diamond exports, to make it the largest in the world. The exchange claims to already have the top 400 exporters and a turnover in the range of US $ 27-28 billion. With increasing participation from the traditional diamond centres of Israel and Belgium it is expected to only go higher. As this happens India’s diamond industry could grow by around 10-15% over the next 5 years. All in all, it looks like the diamond business is all set for a boom. And a big one at that. Do you think having such an exchange is a good idea? Can there be another Yahoo! Or for that matter a new Rediff?